It is a strikingly unique venue. 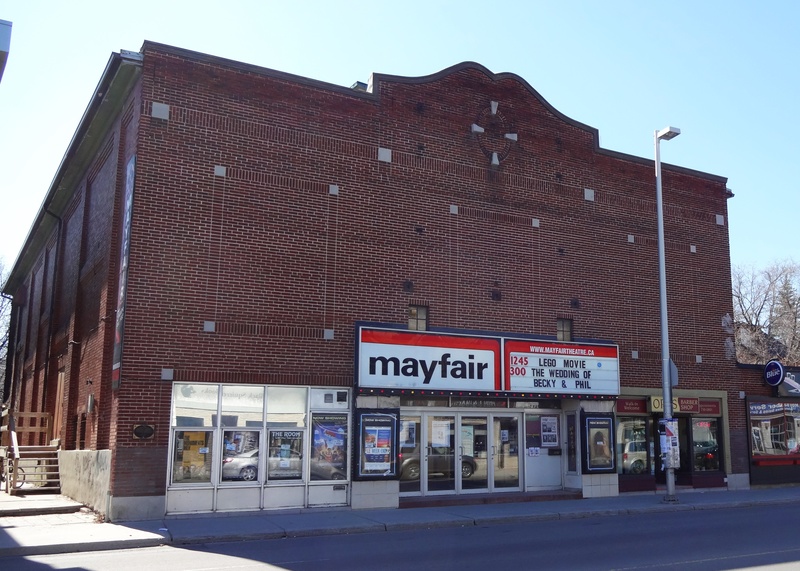 Ottawa’s Mayfair theatre is iconic not only because is it the oldest surviving independent movie house in all of Canada but its decor is dramatic. A great location for a wedding. 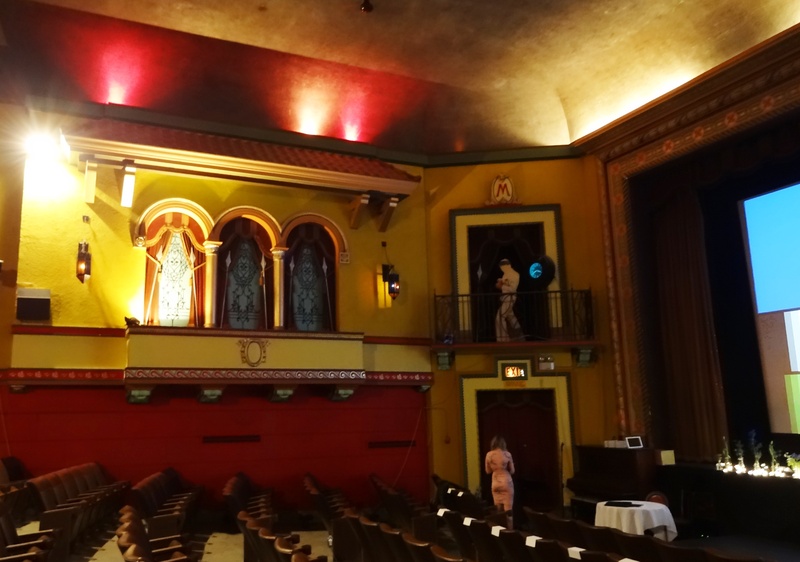 The Mayfair is a dramatic venue. It contains a number of striking architectural features. 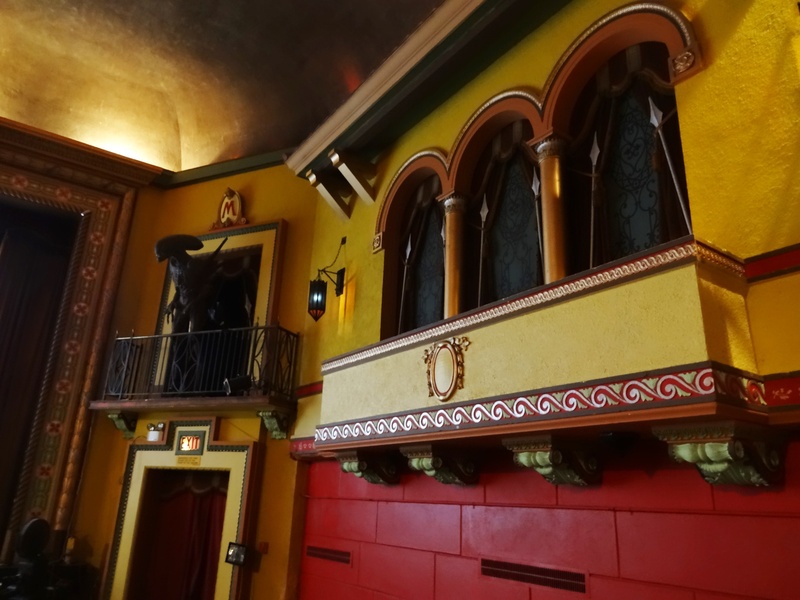 It has four faux-balconies draped with rich fabric to suggest the presence of “hidden” staircases and hallways behind the auditorium walls; the two larger balconies topped with clay-tile canopies evoking the roofs of a Mediterranean public plaza; and additional decorations include medieval-style wrought-iron lamps, iron spears and ornate moulding. 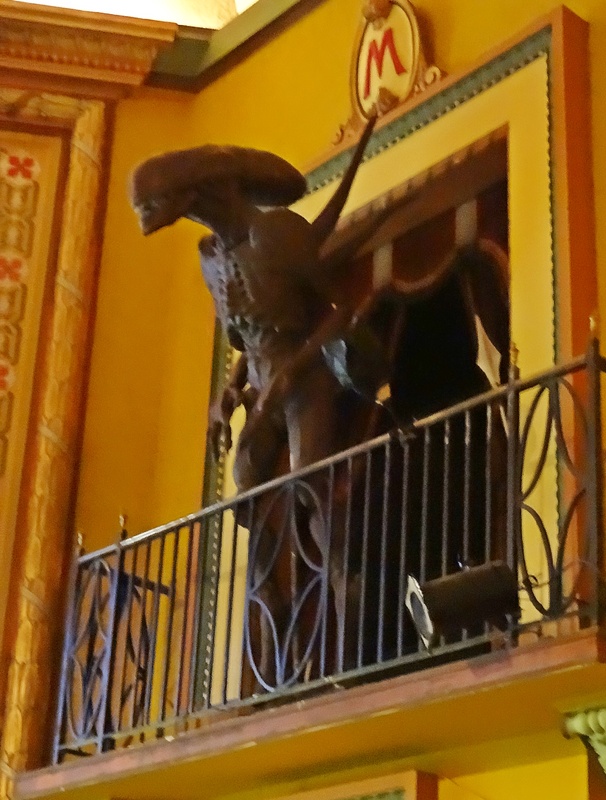 And the Alien overlooking center stage…. There is stage lighting and a couple can project on the screen a slide show if they desire. The Mayfair has a permanent raised platform that makes it easier for people to see. 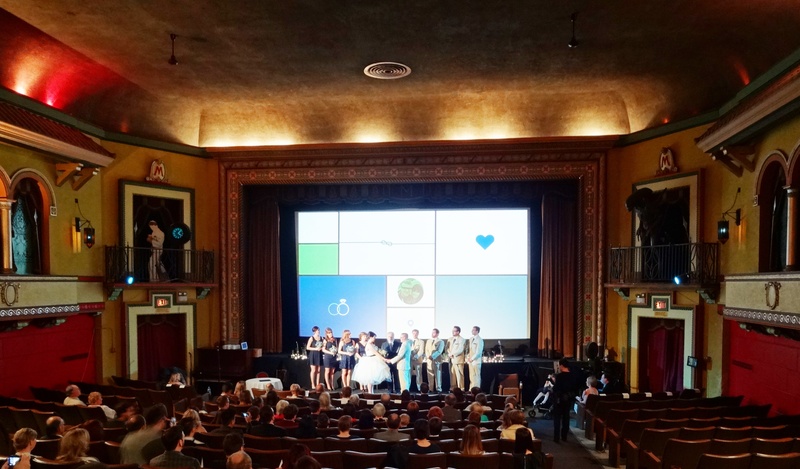 Phil and Becky chose music from the Beatles for all the moments in their wedding. 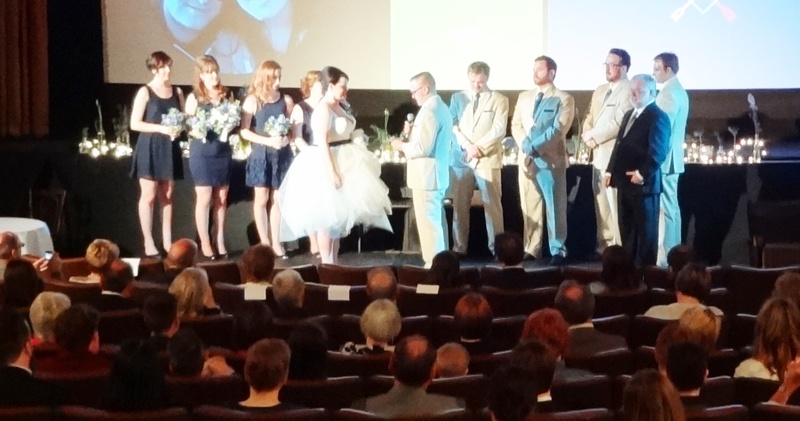 Her bridesmaids walked down both aisles to join the groom, groomsmen and me at the platform. Becky was escorted by her father and was helped onto the stage by Phil. Becky wore a short strapless dress with tulle overlay which made it easier to step up. Everything proceeded as planned; a reading from Becky’s sister-in-law, signing the register & license, saying their own vows, exchanging rings and the wine box ritual. With every wedding, I warn the audience when the kiss is coming up. That way they have their cameras ready to take the shot. As you can see people love that moment. After the ceremony, the guests were invited to board a bus to the reception at the Side-Door Restaurant while the bride and groom enjoyed a ride in a limo.